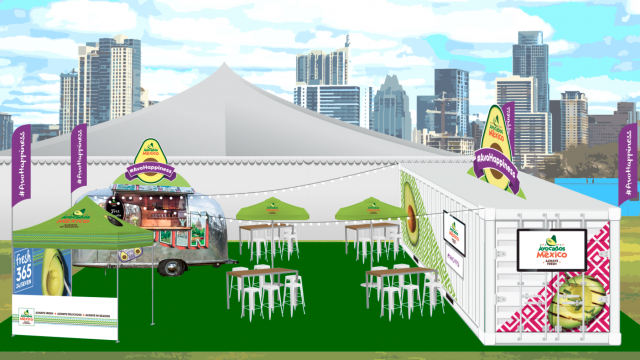 The 5th annual SouthBites® Trailer Park not only features some of the best food trucks from Texas and across the U.S. but it also hosts the Avo-Matic: a futuristic rolling-restaurant brought to you by Avocados From Mexico. The Avo-Matic is loaded with an unlimited supply of that creamy, nutritious, delicious, healthy fresh green fruit. Taste that green-goodness multiple times per day (if you wish), from Friday, March 10 through Saturday, March 18 from 11am to midnight. The fun at SouthBites doesn’t end there. Avocados From Mexico will be giving away a bunch of other stuff from free temporary avo tattoos to free avocados and everything in between as long as it starts with “avo”.